This post was originally published as part of the contextual component of my Masters in Fine Art, and you can find it here. I will share occasional content from my study blog, On the Smallness of Things from time to time. My study blog is where I share work in progress, research and themes I am working on, here, on Mermaids Purse, you’ll still see my work, just more resolved projects. What do you do? What sort of things do you make? I work with my hand and eye, using materials I have at hand, often following principles of Arte Provera, but not bound by this if I feel it’s important to executing my idea. I often work with stitch and fabric. The objects themselves vary; some items are recognisable, alluding to forms seen in the natural world, these works come from study and research of fungi, lichen, and biological growths. Other things I make relate more directly to my life, I make things to understand what has happened, what is happening, representing experiences, memories, such as my difficult dolls and work with hospital textiles. I also create items of adornment, or items that may be worn, or not; I make clothes for myself and wear them, sometimes this is a performance. I am interested in the daily performance of life, with elements of theatre and contrivance at and also the mundane repetition that is also part of life. I make things, objects, about the process of making garments, and value the skill involved in producing everyday objects that are often taken for-granted. What is it you’ve been trying to do to make the work relevant in relation to ideas, cultural circumstances or contemporary issues? My work is at times reactionary, yet grounded in solid values; such as work around fungi, Mycelia/Mycelium, which connected to social and political concerns relating to the housing crisis in Aotearoa. By exhibiting, writing and talking about this work, I connected it with contemporary social and political issues. Other work, I find more challenging to keep relevant, my work in response to or against motherhood is more fraught, I read and follow other artists who are mothers working in this area. But I feel like it is ‘othered’, by myself at times. This duality is expressed well by another mother: “…motherhood is a state in which you constantly feel lonely and yet you just want to be left by yourself” (Castagna, 2015). I also read widely and aim to attend exhibitions, and write about my work, I incorporate workshops or artist talks when I exhibit, which helps to keep my work relevant, or tested with a wider audience. How do you make decisions during the course of your work? How and why do you select the materials, techniques, themes that you do? I start with an image, place or experience, I am driven by curiosity, to find answers or understand ideas, and I mostly use what I have to hand as a starting point in my making. I am seduced by materiality; objects, textures and sounds influence my work, such as cleaning and clearing my grandparents home, I was confronted by the familiar with a new purpose, and saw objects subjectively, but also profound memories were attached to them. This brought me back to the materials and objects of my daily life, and the women who came before me. 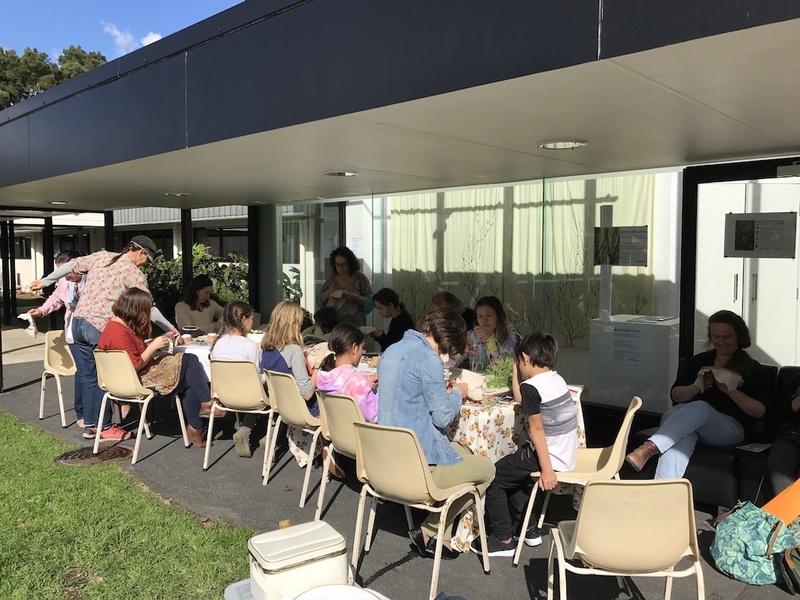 My life and my work – making, are entwined and I cannot separate them, and I find myself working with material and ideas that are part of the domestic realm, the Interior, that relate to care and connection. “These skilfully made pieces reveal close attention to detail, and deliberately mimic mass-produced cloths that are highly familiar – ones found in packets of three held together with a plastic tie and sold for a few dollars. These cheap and useful items have textured stripes to evoke the appearance of traditionally woven cloth – through remaking them by hand, Annie draws heightened attention to everyday objects and both reclaims and highlights the artistic and cultural value of the handmade.” (Ruck-Doyle, 2018). I feel a meaningful connection with domestic materials, which I am drawn to touch and manipulate, and also want to keep at a distance. My making and reading feedback on each other, sometimes I am driven to master a new technique or recreate or make a response to something I have read or seen. Some of my projects develop over long periods, with breaks for new explorations, then I revisit a project with fresh eyes, or new skills. Why have you created the work you exhibited and what is its history? I work to understand an idea, test a form or material, talk about something I care about, this may be personal / political / social. 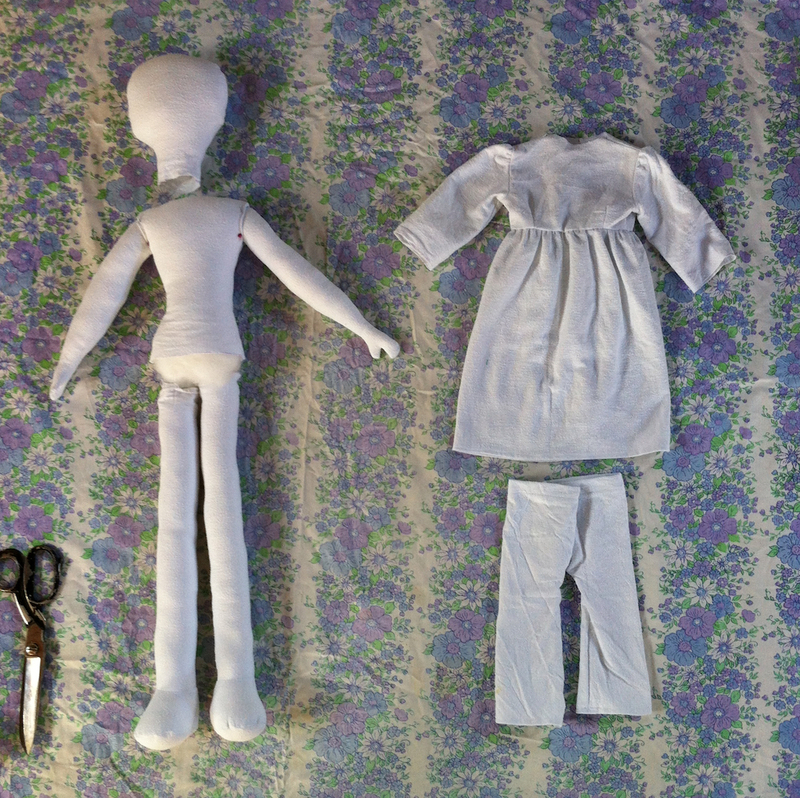 When I reflect on past projects and exhibitions, such as There May Be Some Repetition, which includes multiple handmade dolls made from hospital gowns, and an embroidery on a hospital sheet, I am using the material and objects to communicate a – story – idea – concern. With this work, I was working to understand and speak to the experience I had in hospital, as a child and later as a parent, in hospital caring for my own child. I work regardless of a deadline to exhibit or present my work, I pursue projects, making objects, or reading to learn, usually more questions and ideas are revealed. The history of the making of my work is related to my life experience, I often develop work over extended periods of time. I feel as though I’m working to give meaning – acknowledgement ? to what might remain hidden or ignored, private. The history and associations within my work may be further complicated by choice of materials, such as home textiles, curtains or blankets which have had a life, I don’t attempt to hide this in the new mode. The forms, such as curtains or garments may bring further associations, around softness, impermanence, ‘feminine’ objects. 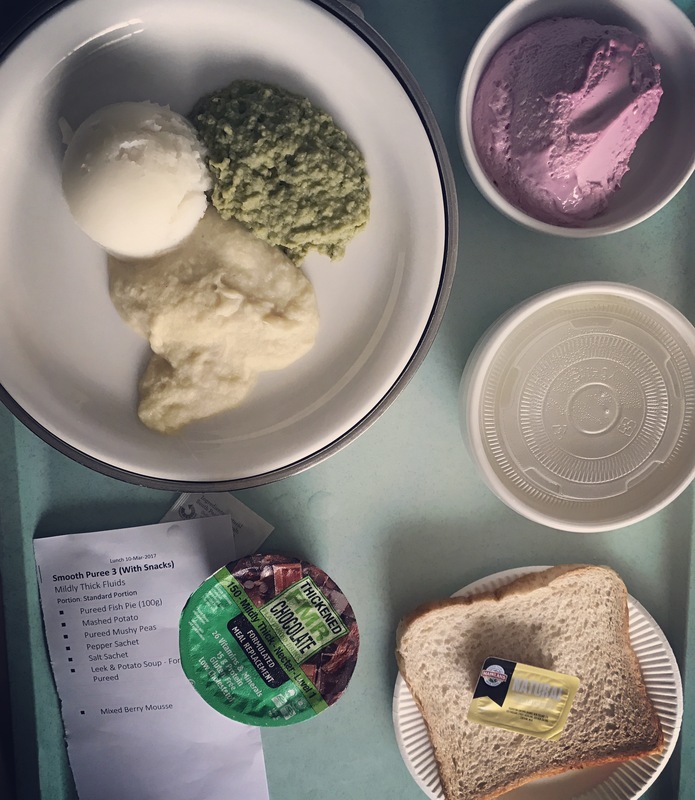 Nana’s hospital lunch, Smooth Puree 3 (With Snacks) 2017. What are you trying to say in the work? 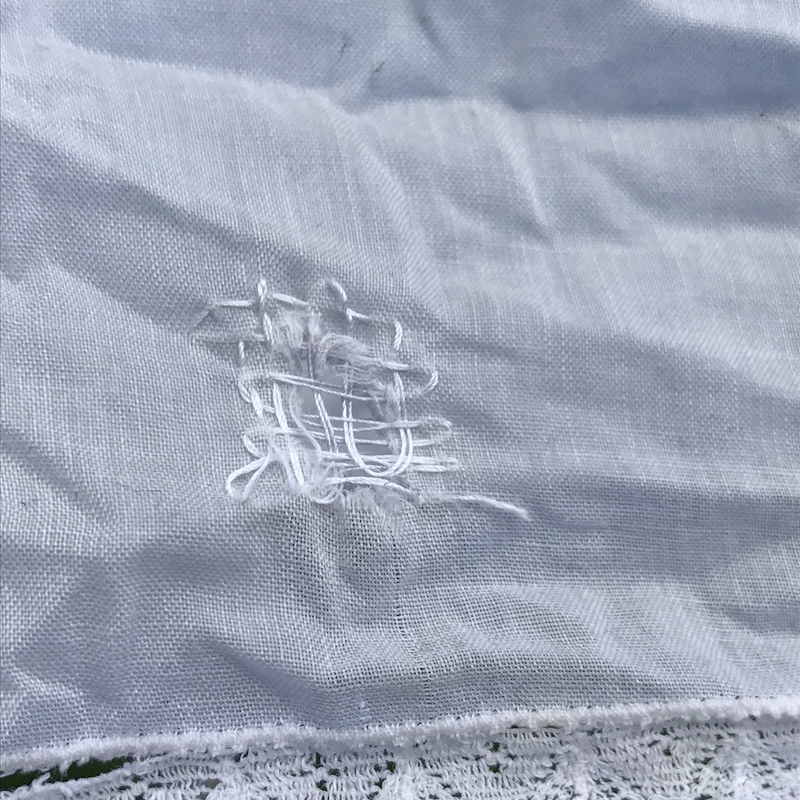 For my current project, a piece for a group exhibition entitled Water, I’m am making a collection of object-garments, representing fragments or ideas of something familiar, which I will invite gallery visitors to engage with, to try on, and to wear. I want people to have fun, I want people to try these pieces on and consider how the way they dress might change their ‘performance’ of life. 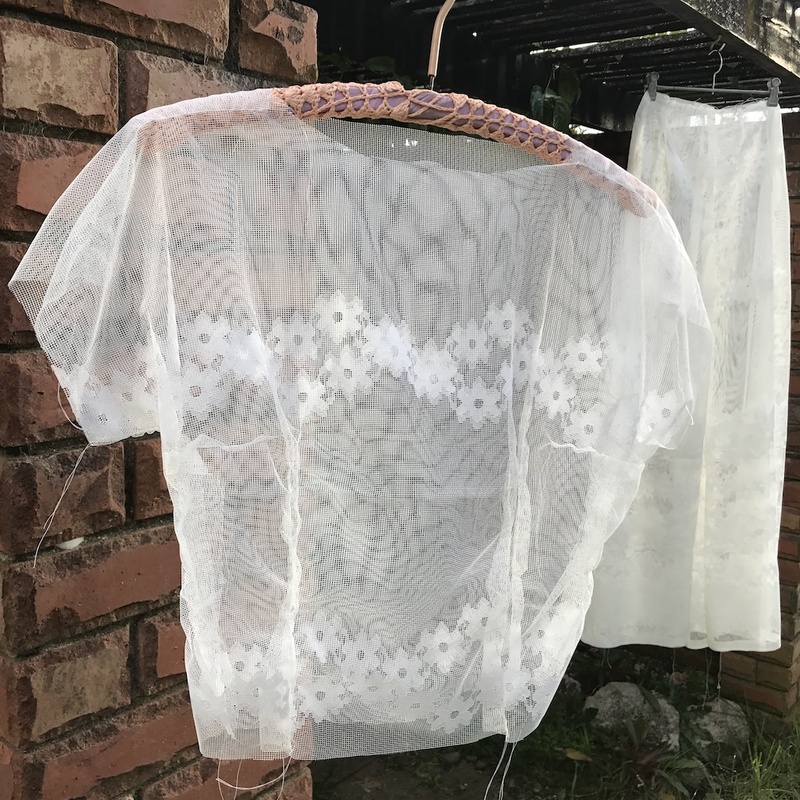 I would like to see if people connect via the garments, see other people wearing them, and then, what happens? “Convention, with all its trappings, is just another kind of performance.” (Searle, 2018). 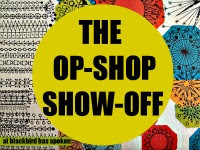 I wish to start a conversation in the space of a gallery around identity, increase awareness about habits of adornment, how what we wear helps us express ourselves. Telling the world, our interests and values, aligning ourselves with a group, or placing ourselves in a class. How our choice of garments becomes a kind of shifting self portrait, through aspirational qualities of clothing and garments as social makers, class, and identity. How is the way you are saying it, with the materials, techniques and themes, the best for the idea you want to present? I am working around methods of display to invite participation, using one fabric, to create a sense of unity and multiplicity. It is the interaction I hope to facilitate, between these objects, and gallery goers, staff and myself that is fundamental to realising the ideas and opening up the conversation. This is a kind of social experiment. “Dress is the form, it’s the major form, in which we make our bodies social”. (Entwistle, 2017). How does your current work relate to your previous work? The project for Water is a leap outside my practice so far; it will utilise my skills and experience with materials and making, with the increased direct social connection and deliberate physical, hands on interaction between my work, the gallery visitor, and myself. However, it seems to me like a natural progression from curating my own wardrobe and constructing an identity by creating my own garments, some utilitarian responses to my lifestyle, others more aspirational. It is an extension of the work and research I have done in understanding garment construction and design, along side ideas around how garments and clothing are used as social and communicative tools, and as a form of self expression. While the methods of making are inline with my values of the handmade, and process, it is what happens within the gallery space that I will be focusing on. 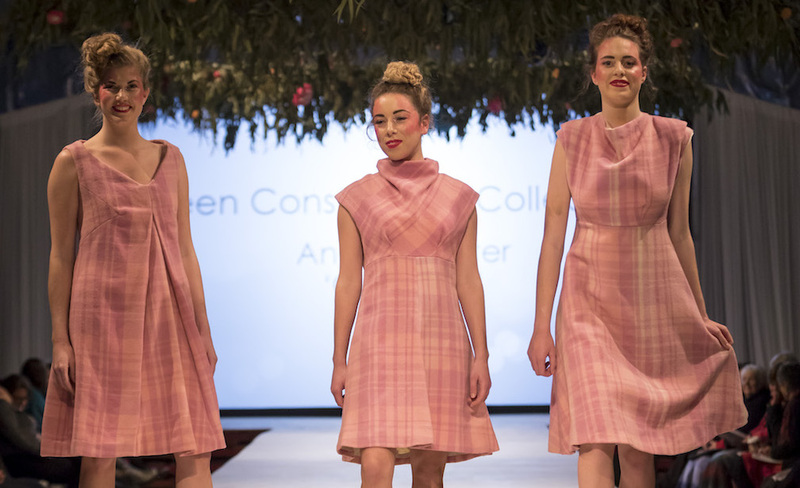 This is also connected to social and environmental concerns I have around patterns of unsustainable consumption, specifically related to the fashion industry. This reaches into very personal choices and self expression, I’m interested in how people disrupt and push back against the fashion industry. Contemporary concerns, around the environment, consumption, and identity. Currently, exploration of ideas around dress and identity is taking me into historical and contemporary exponents of dress reform. 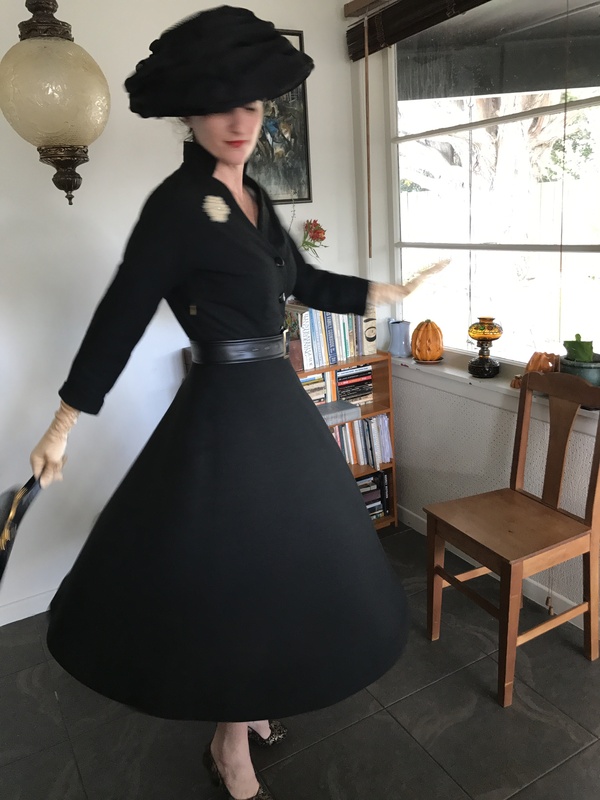 These include early dress reformists, who rejected constrictive underwear and voluminous petticoats which was heavily linked to women’s emancipation in the 19th century (Schoeny, 2000), to artistic movements from Russian Avant Garde in the 1850s – 1930s (Stern, 2004). It is also my day to day life, and the relationships I have with everyday textiles that influence my work. 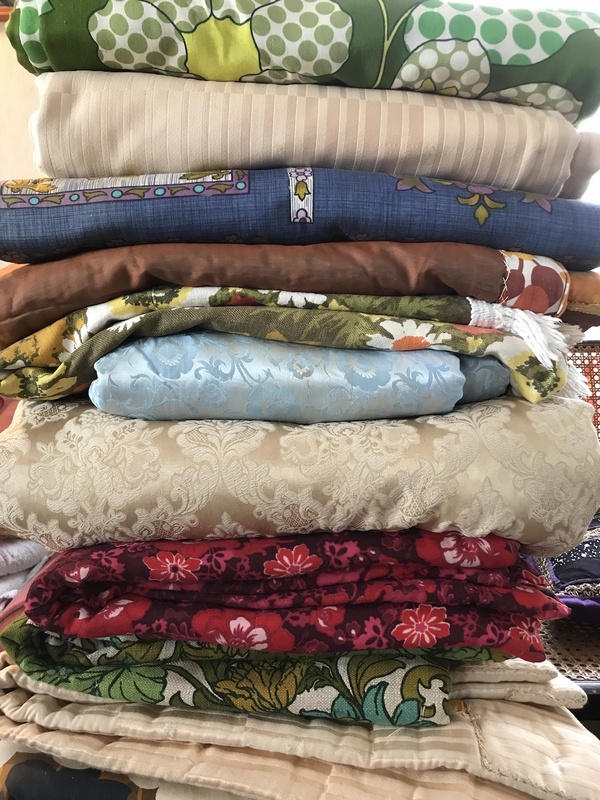 There appears to be an abundance of textiles around me, as garments, homewares, objects I care for on behalf of my children and extended family. At times of transition, change or crisis, I observe the situation and the details to either distract or to ground me in the moment, such as clearing my grandparents home. Most of Nana Joy’s handmade quilts, 2017. What is your inspiration for your images? I source ideas for imagery from the everyday, using materials and situations that may be familiar. 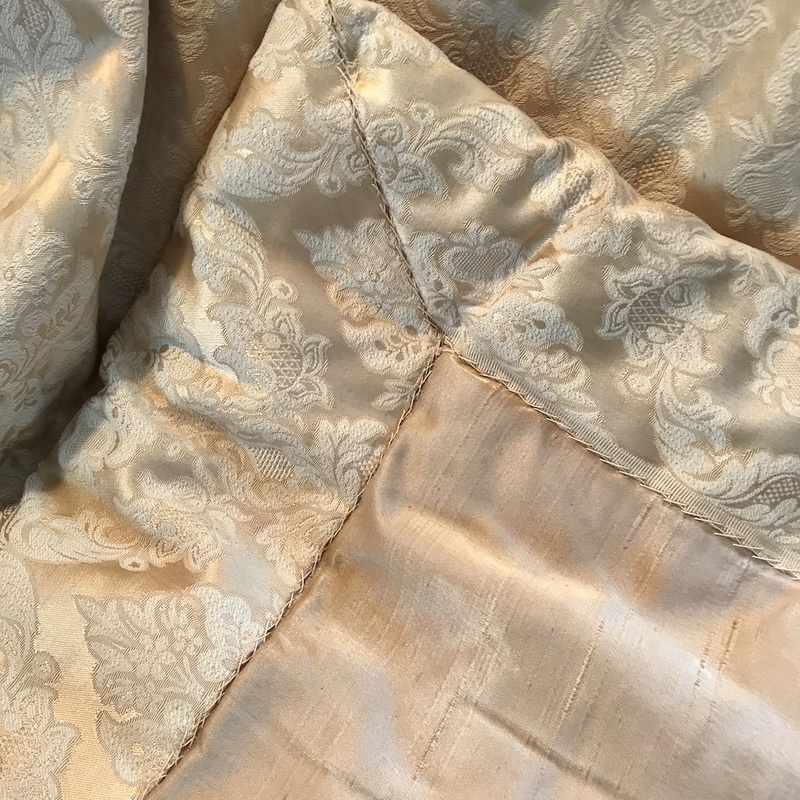 For example, while clearing my poppa and nana’s home, I was struck by the volume of curtains, linen and “soft” homewares that were stashed in closets and wardrobes. This gave me pause to consider my nana’s childhood during the depression (nothing is wasted, repair, reuse, repurpose), and brought up ideas around use of net curtains in the home; to conceal/to reveal, so I began playing with these as a material to use them in unconventional ways, specifically on the body, or create objects that suggest a body. Changing the context, bringing these objects outside I could see traces of the original, as well as bringing up other concerns about the body, or it’s absence, and movement verses static presentation. I also draw inspiration from the process of making, which is something of a hidden world when it comes to clothing the body; in the community around me, there seems to be a clear shift from producers to consumers, a whole language around the craft of construction is lost. So, I am interested in what this language looks like. 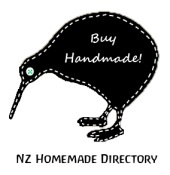 How does this work fit into a larger body of work or overarching project? The project for Water is shaping up to be a progression into a potential project examining the self and identity as expressed through garments as self portraits and performance. Possibly how dress informs or creates an identity. This is an extension of my work in curating and performing my own identity through my wardrobe, how garments affect my sense of self, and how I may begin a dialogue with others, in a gallery setting or other space. This could be about the objects, the garments, and the messages they bring, or it could be portraits of this ‘self’ constructed through the objects. How did your idea change (if it did)? I shifted my focus, by making my piece for Water a performance. I decided to become an active participant and make the project specifically about engagement and participation with the viewer. My ideas are always shifting, though. I must change with the materials I have at hand, and the shape of my life and time available. 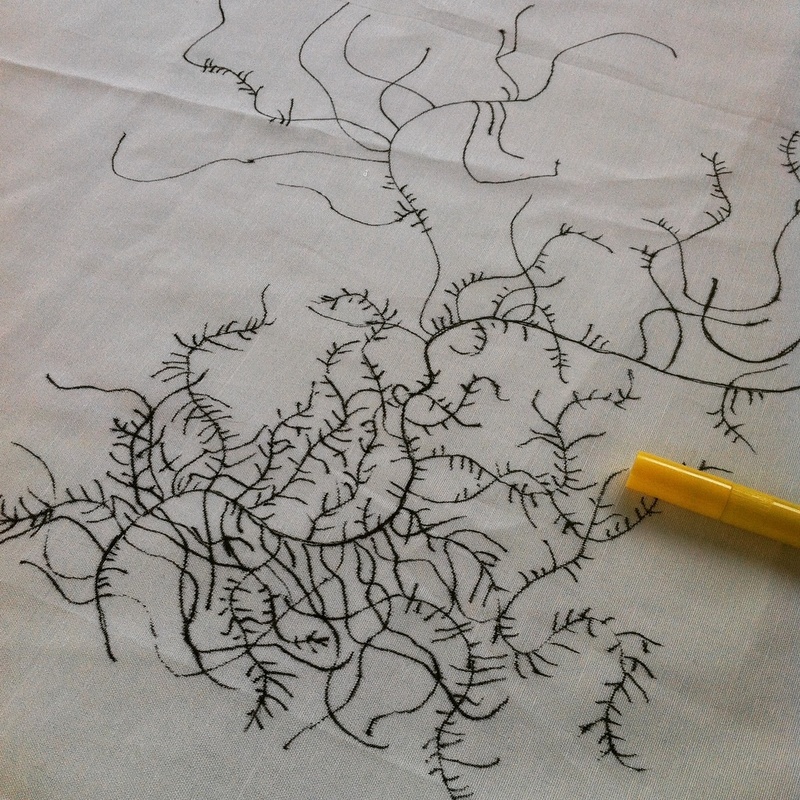 When I am working with short bursts of time, I may work on smaller, portable projects, like embroidery. Reserving larger projects, or planning and prepping to periods of time when I give full attention and focus to execute an idea in my work. Looking beyond Water, I have a range of ideas that I will investigate. 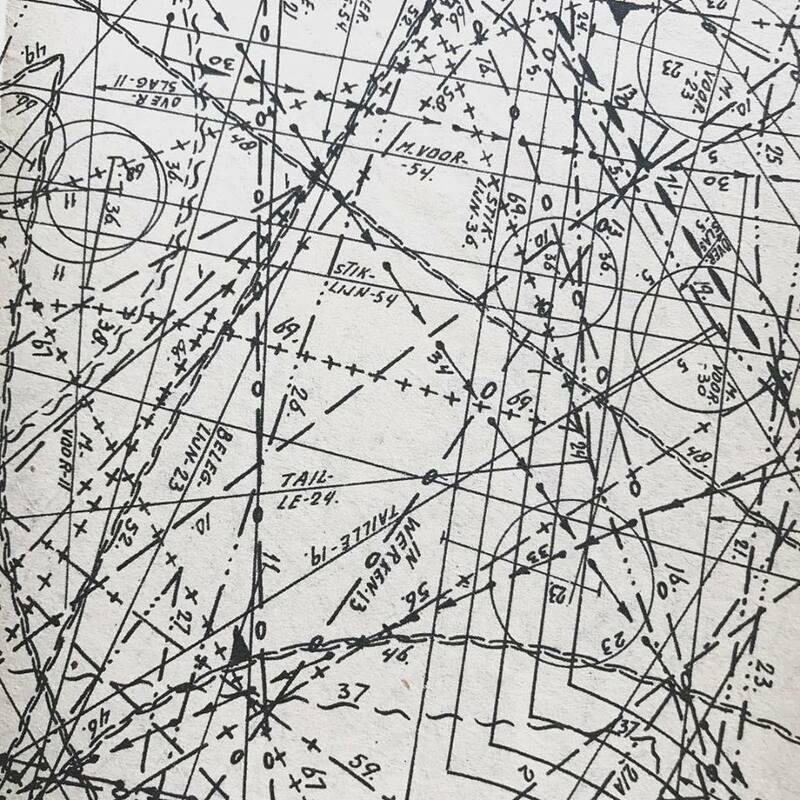 Has anyone done this kind of work in the past? Many people have worked with these ideas, some that resonate right now follow. Early rational feminists viewed dress reform as essential to women’s emancipation, adopting The Bloomer Costume and Emancipation Suits (Schoeny, 2000). Futurist, Constructivist and Suprematist artists in the early decades of the 20th century pioneered attire inline with the values of their respective movements. Often aspiring to create a single garment for life, which aesthetically amplified their message and improved life (Radu, 2005). Some were minimal in the extreme, resembling a well padded (and pocketed!) boiler suit or, unacceptably to the socialists, the American style overall. Others were vibrant, and expressing movement, as in simultaneous garments created and worn by Sonia Delaunay (ibid). They included Giacomo Bella, Sonia Delaunay, Gustav Klimt, Kolomon Moser, Aleksandr Rodchenko, and Varvara Stepanova. Initiator of the Artist Residency in Motherhood, works across a range of media, this piece resonates with me, with regards to my current practice with garments, history and marks of the maker. Does anyone else do it now? Who are the artists that occupy this terrain? Melissa Laing, with her Boat Date project performance, where a person can book to be taken a boat ride with Laing and have a personal experience with her. Conceptually, I relate to her use of her handcrafted boat, The Question Put, and using The Question Put, as a means to connect with another person, perhaps in the way dress is a means of communication and possibly connection. The Rational Dress Society promotes their individually designed jumpsuits, made to measure and shipped to the buyer, they are also creating an open source pattern to download, and sew your own jumpsuit (Rational Dress Society, 2018). Who are the writers on these subjects? Calefato, Patrizia. The Clothed Body. Oxford: Berg, 2005. Geczy, Adam, and Vicki Karaminas. Fashion and Art. London, UK: Bloomsbury Academic, an Imprint of Bloomsbury Publishing Plc, 2013. Ryan, Zoë. Fashioning the Object: Bless, Boudicca and Sandra Backlund. Chicago: Art Institute of Chicago, Yale University Press, 2012. Stern, Radu. Against Fashion: Clothing as Art, 1850-1930. Cambridge, MA: MIT, 2005. Truitt, Anne. Daybook, the Journal of an Artist. New York: Scribner, 2013. Wilson, Elizabeth. Adorned in Dreams: Fashion and Modernity. New Brunswick, NJ: Rutgers University Press, 2003. Barnard, Malcolm. Fashion as Communication. Florence: Taylor and Francis, 2013. Hamblyn, Richard. The Invention of Clouds: How an Amateur Meteorologist Forged the Language of the Skies. New York: Picador, 2002. Fashion and Physique at FIT, popular culture and the female body, the fashion industry it’s impact on our relationship with out bodies and identity. Clare Press’ Wardrobe Crisis podcast, steaming from her book of the same name, this includes interviews with designers, artists, activists, scientists and garment workers. Unpicking issues around consumption, our bodies, why we wear what we wear, and what people are doing to challenge current patterns behaviours. Contemporary Feminism; A series of panel discussions at the City Gallery Wellington in the context of the exhibition Cindy Sherman. Valerie Steele giving the keynote speech “Is Fashion Art?” at the mumok, museum of modern art Vienna. Is your field an established one or did you have to invent it? My work is situated across multiple fields, including social practice, performance, activism, and art / fashion. Most fields that I may place my work in are understood and respected within accepted modes of ‘Art’. When my work is located in the area between Art and Fashion, it seems to be illegitimate offspring of costume and performance, not quite art and not quite fashion. I would like to continue to work through the space between art and fashion, establishing this further this as a legitimate field of research and expression. 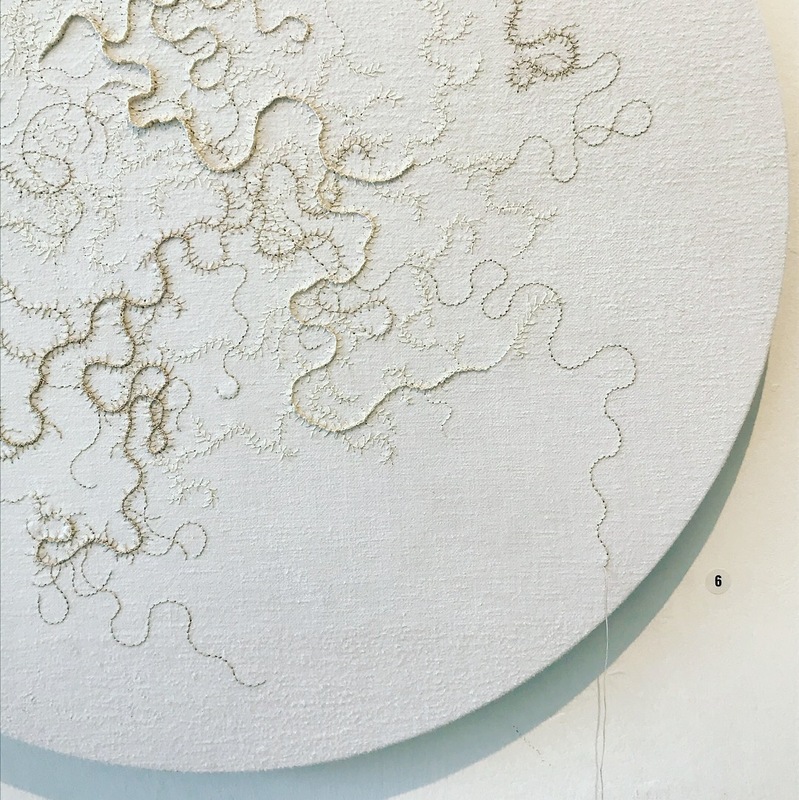 At times, working in materials such as textiles, embroidery, or stitch, means that I can position my work in multiple fields, it can be relatively accessible in gallery context as these modes of practice are so familiar within the field of craft. At the same time, installing work that is associated with handwork, textiles or fashion within a gallery can be more problematic, raising questions like, ‘what is art/craft/fashion?’, ‘who decides?’, ‘where do I put this work, if not in a gallery… then where?’. Zittel, Andrea. “Works.” A-Z; An Institute of Investigative Living. 2014. Accessed February 26, 2018. http://www.zittel.org/.